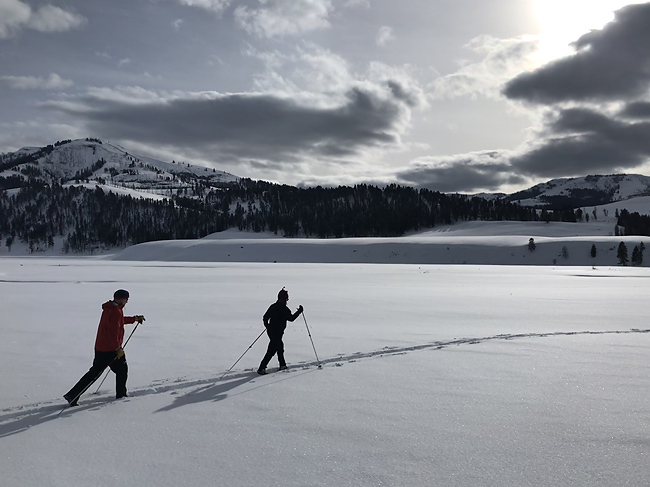 Guided backcountry skiing, in Yellowstone National Park. Yellowstone Ski Tours offers custom guided backcountry ski trips in Yellowstone National Park for all ability levels and interests. Yellowstone Ski Tours is based in Cooke City, Montana, next to the NE corner of Yellowstone Park. We specialize in guiding high quality, backcountry ski trips in the northern region Yellowstone Park. Winter in Yellowstone Park is truly a magical time and place, and it is our sincere pleasure to share that experience with you. Our custom ski trips emphasize things such as: wildlife and winter ecology, avalanche education, geothermal activity, and powder skiing. Yellowstone Ski Tours will keep you safe, teach you useful backcountry skills, and in general; facilitate a deeper understanding and appreciation of Yellowstone. Yellowstone Ski Tours is an authorized permittee of the National Park Service.